The Isle of Wight is an island off the South coast of England, with beautiful beaches and walks. 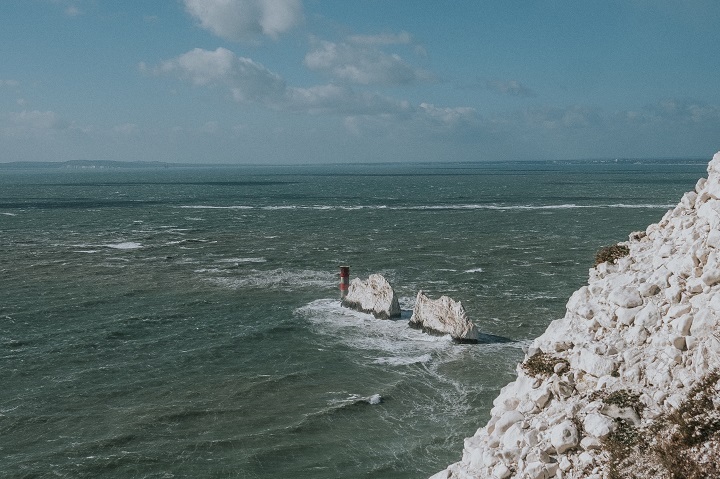 Taking a road trip over to the island for the day was made simple with Wightlink Ferries, They have three different ports along the South coast connecting you to areas of the Isle of Wight. The great news is that they also allow dogs on their crossings. 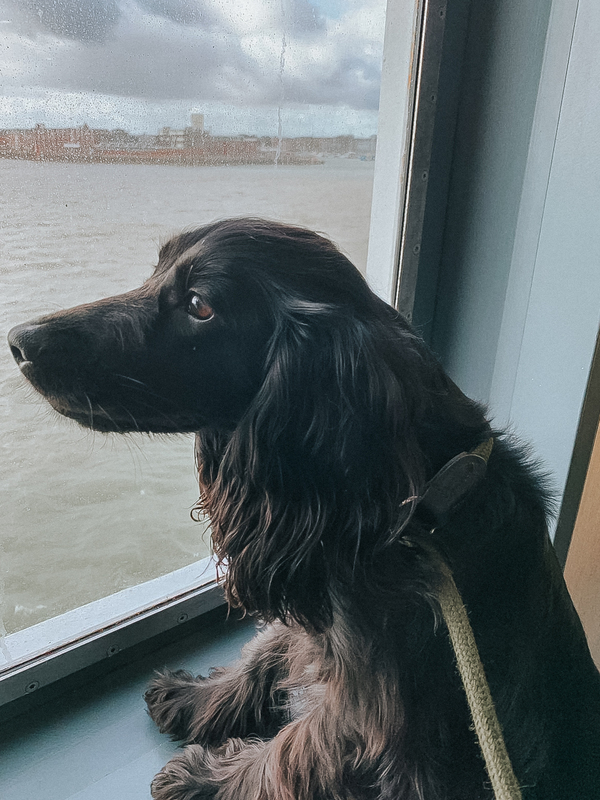 Each ferry has dog friendly areas on the deck meaning you don't have to leave your dog in the car either. We headed to Lymington early on Sunday morning to catch the Wightlink Ferry; crossings take between 20-45 minutes which is both quick and easy to get us over to the Isle of Wight. This took us to the North West side of the island to Yarmouth, which is a great location to visit with gorgeous beaches and stunning sights. 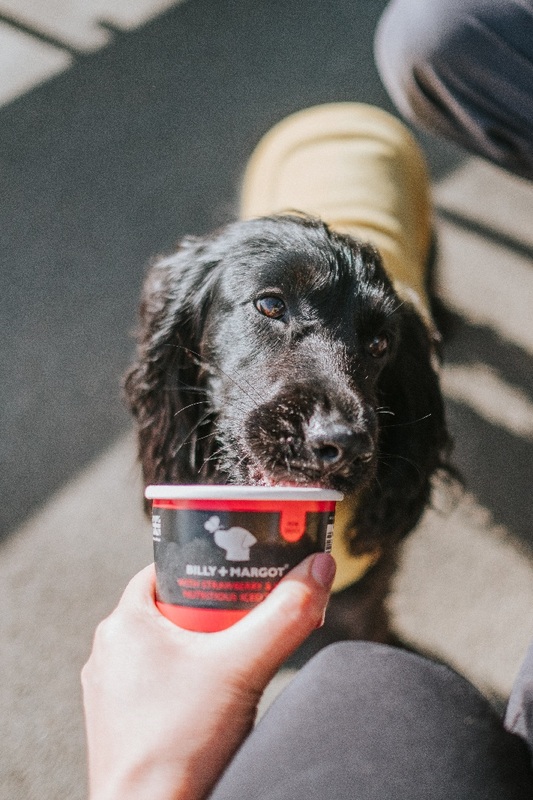 The cross over was easy and there were no worries with having Sev & Lily, with signs pointing us in the direction of dog friendly areas and even having water bowls available. 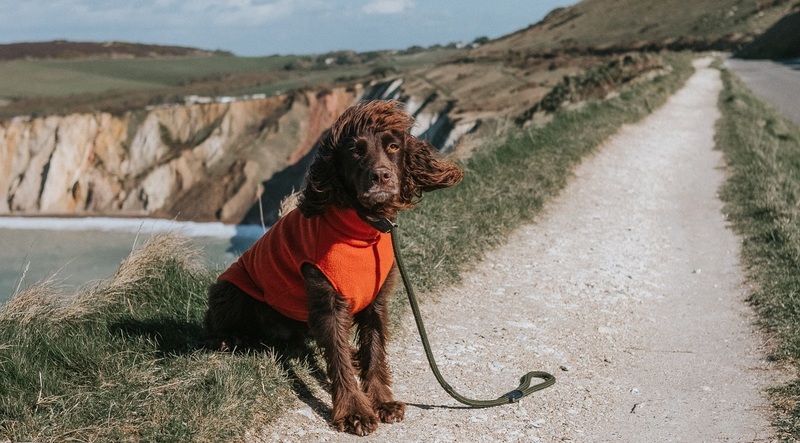 Isle of Wight has some beautiful beaches and if you visit before the 1st May, most are open to dogs before the restriction start. 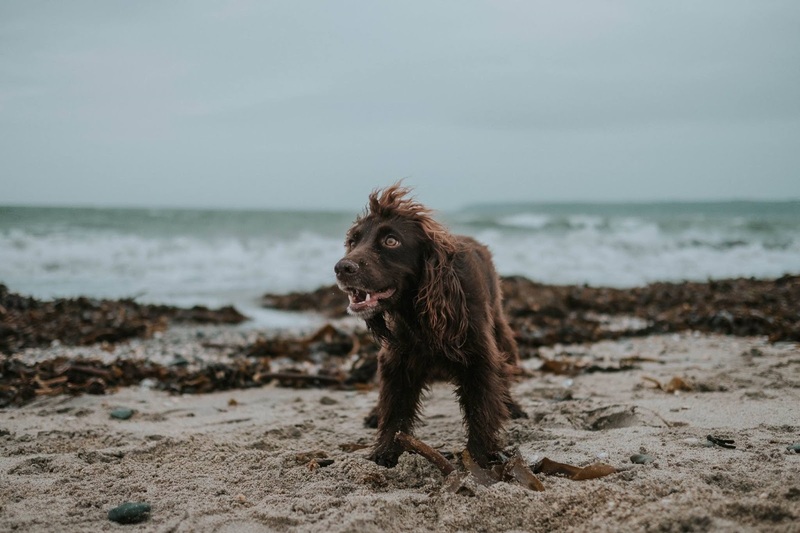 Compton Bay is gorgeous, but if you're looking for dog friendly beaches all year round then Bembridge beach and Seagrove beach are the place to go when visiting Isle of Wight for the day with dogs. When visiting somewhere new woodlands are always places we love to walk and explore. 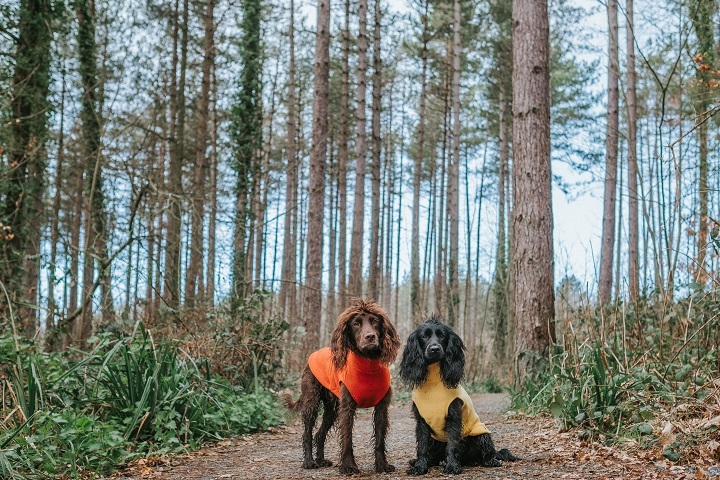 With two gorgeous Forestry Commission woodlands on the Isle of Wight, they're a great place to visit for a dog walk. The needles is a formation of chalk rocks that stick out of the sea, and close by to a lighthouse. It is certainly picture perfect and certainly something to visit. This National Trust is great to walk to see with dogs, although being on a lead is a must so close to the cliff edge.